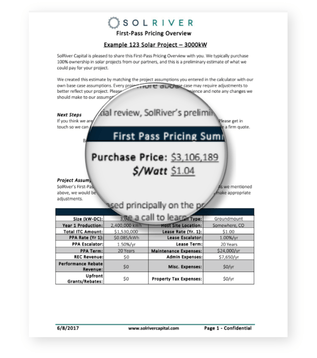 In SolRiver’s First Pass Pricing and Project Optimizer tools, our total investment amount in the solar project is called the Purchase Price. In the Project Optimizer, we also include an ongoing revenue option for developers and installers. This is called Other Compensation. You might be wondering: What does Purchase Price mean? And what does Other Compensation mean? We’ll answer both of those questions below. Contact our team about your project and get a tour of the optimizer. 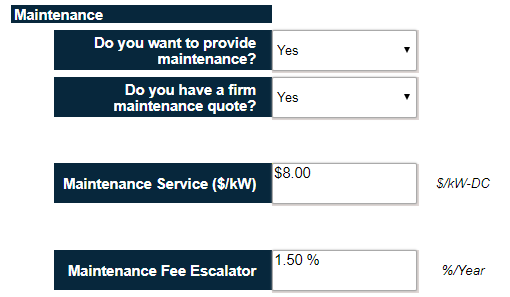 The Purchase Price is the main output in our online pricing calculators. 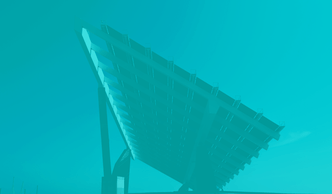 It is the dollar amount that SolRiver is willing to pay for your solar project. We structure it as an “all-in” price. That means that the Purchase Price is meant to cover all costs required to bring the project to commercial operation. Soft costs like land options, permitting, utility impact studies etc. Any amount left over after paying the outstanding project costs is kept by you as a Developer Fee. We cover the transaction costs. Those costs are never held back and then deducted from your Developer Fee. 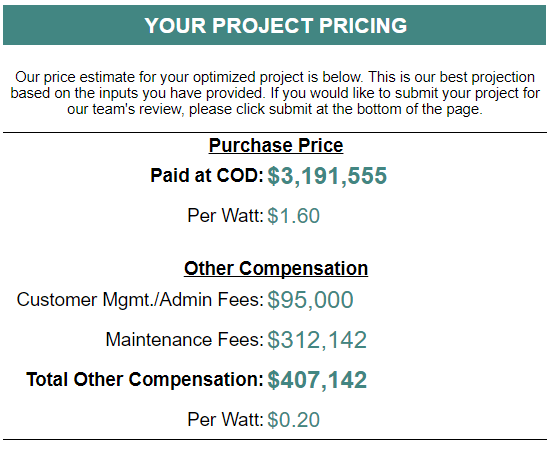 The Project Optimizer results also include Other Compensation. Other Compensation is the total amount of ongoing revenue that the developer or installer is paid over the course of the project. This amount is always in addition to the Purchase Price. Most of the time, Other Compensation is structured as either an (1) Customer Management/Admin Fee or (2) Maintenance Fee. 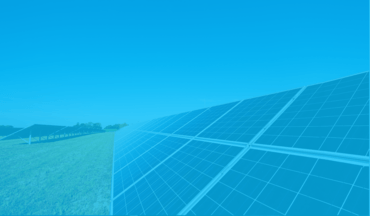 We know that many solar installers want to maintain the relationship with the customer after selling the project. We are more than happy to let you do that. In those cases, we’ll pay a Customer Management/Admin fee in exchange for you covering customer management, billing, and a few other responsibilities. The scope of work is small – it’s meant to be a high-margin item. You can set this fee to whatever amount you want. There is a tradeoff though. The higher you set your Customer Management/Admin fee, the lower the Purchase Price will be. Some developers and EPC’s like to provide O&M services on their projects. In those cases, we pay a Maintenance Fee. We expect maintenance providers to meet a robust scope of work that includes both preventative and reactive maintenance. If you are capable of meeting the responsibilities, then we encourage taking the Maintenance Fee. You can set this fee to whatever amount you want. Keep in mind, it carries the same tradeoff as the Customer Management/Admin fee. If you want a high Purchase Price for your project, then you should consider lowering your Maintenance fee. We stay flexible when structuring our offers. We work with partners who are looking to get the highest Purchase Price that they can. We also work with partners on the opposite side of the spectrum – who want to maximize their ongoing revenue via Other Compensation. 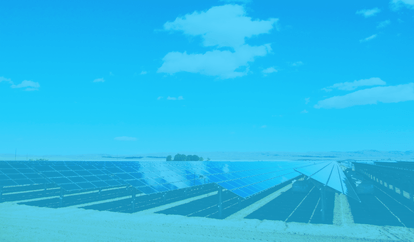 At SolRiver, there is no “one-size fits all” approach to buying a solar project. Our team will always ask you what you’re looking to get out of a deal. Then we’ll strive to structure an investment that reflects that. Fill out the form below and our team will set up a time with you to discuss your project and walk through the Optimizer. Let us know if you have any specific questions in advance.